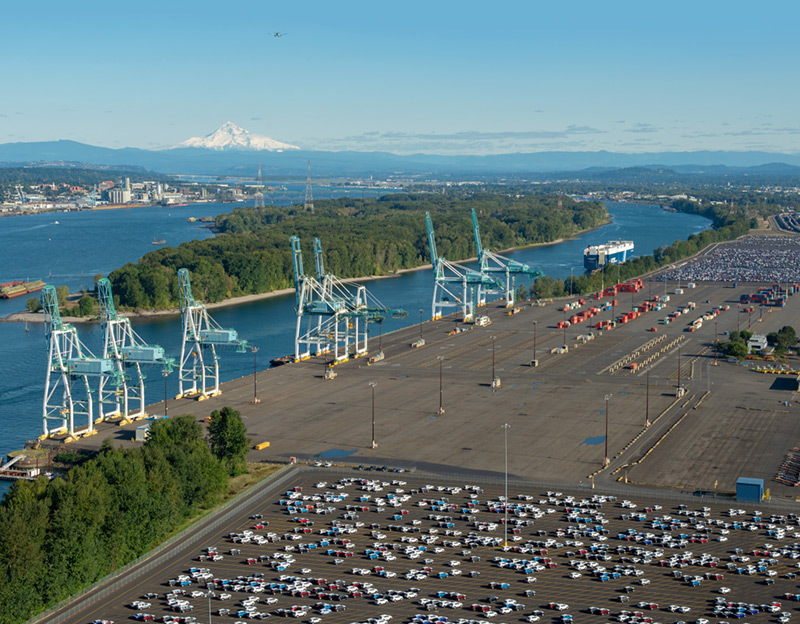 Terminal 6 is a multipurpose, 419 acre facility that features 5 ship berths and an on-dock rail yard. Autos, containers and breakbulk cargoes are handled at T-6. 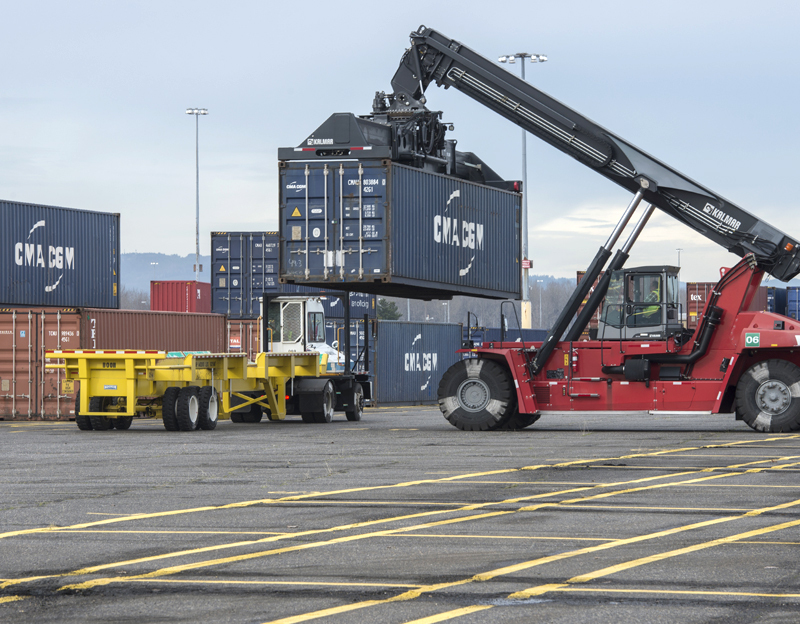 Shippers can move their product by rail or sea at our most versatile terminal. 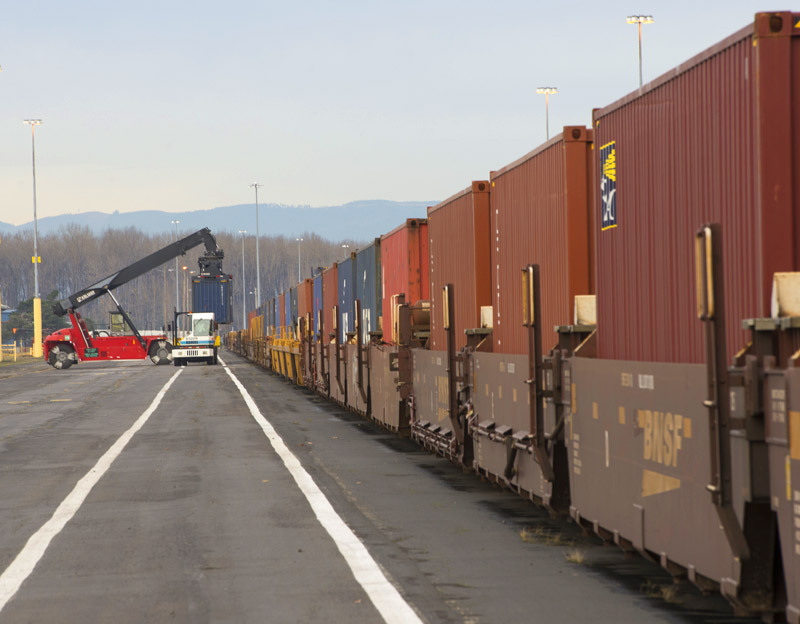 With almost 200 acres of multi-use space and an intermodal yard, we keep containers and project cargo moving. 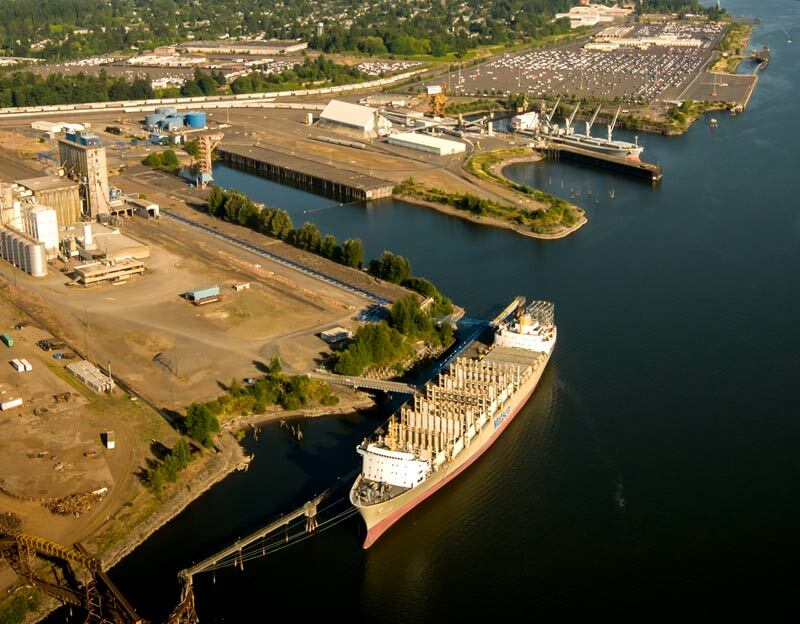 Direct rail service includes a regular shuttle to the Puget Sound ports. 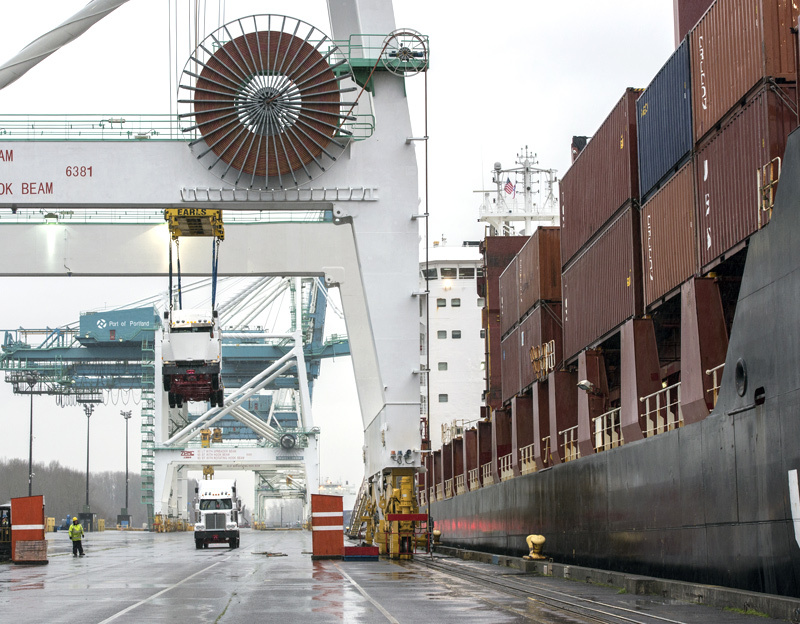 Our container facility features a 125-acre container yard and seven container cranes (four post-Panamax). We have a fully grounded reach stacker operation with 620 refrigerated container connections. 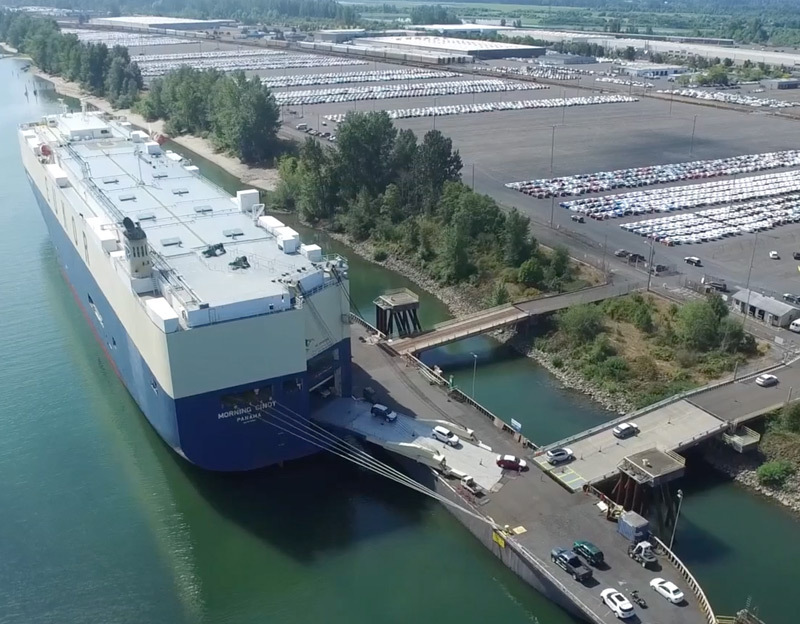 The terminal is currently operated by the Port of Portland. 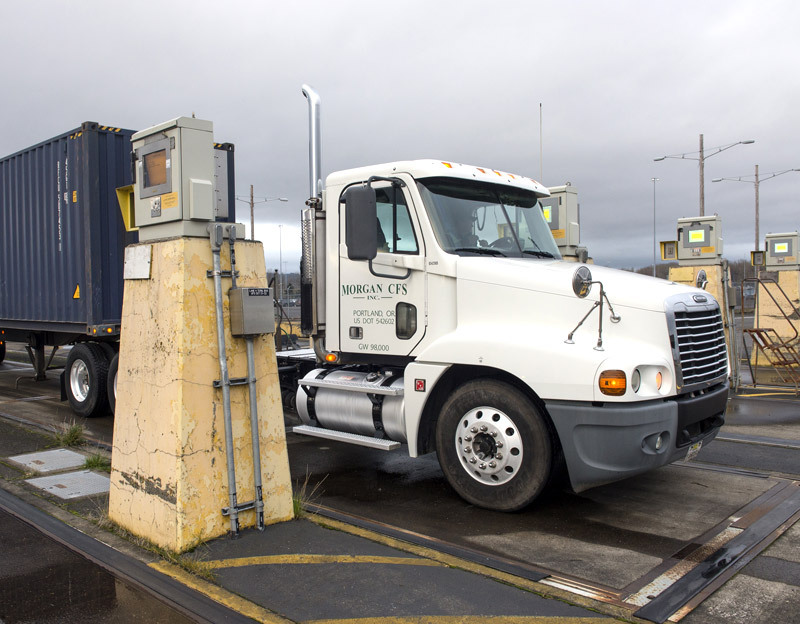 Learn more about our terminal operations, gate hours and rail services. 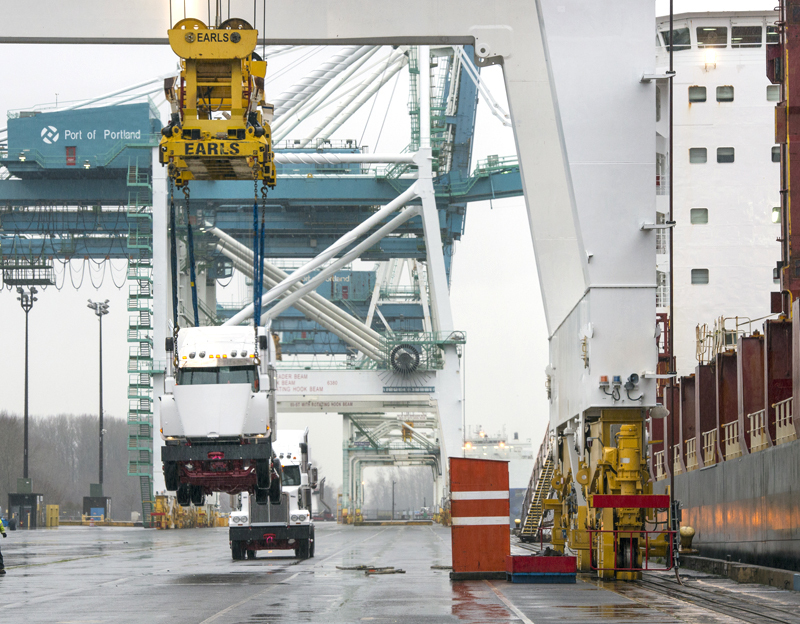 In addition to managing Terminal 6 containers by truck, rail and ship, the terminals also offer laydown space for breakbulk cargo, a congestion-free advantage and direct rail access. Swire Shipping began offering a mix of general and containerized cargo with service to Australia and New Zealand in January 2018. The terminal is home to some to some of the world’s most successful auto businesses, including Ford, Honda and Hyundai. We receive and deliver vehicles by ship, rail and truck. More than 167,000 vehicles moved through the terminal in 2016. Terminal 6 features an eight track, on-dock intermodal yard. 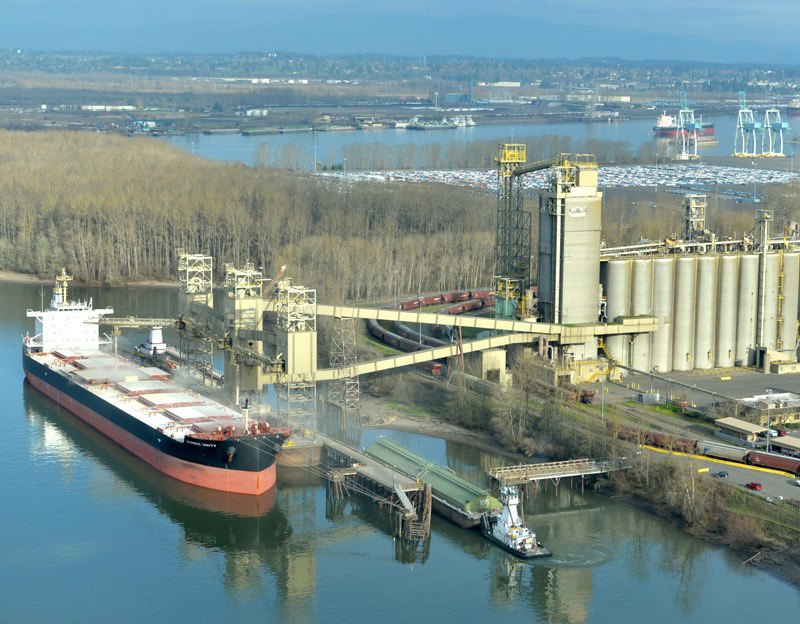 BNSF Railway currently operates a regular intermodal shuttle service to and from the Northwest Seaport Alliance. From agriculture to autos, bulk minerals to big machinery, if you are seeking access to international or U.S. markets, we're the partner for you.